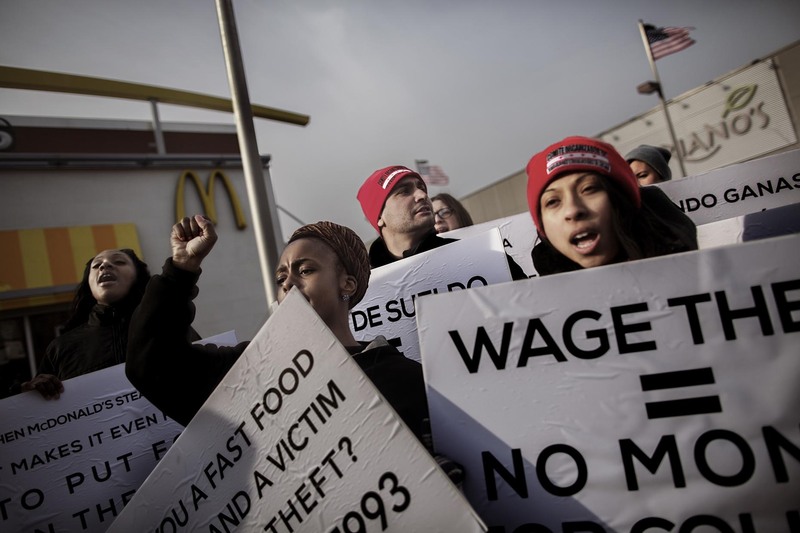 A street rally protest against McDonald’s on West Chicago Avenue. "My wage is 8,36 dollar per hour. I am not even close to be able to pay my bills, buy food and live a deasant life", says Rose Thompson (25), who works as McDonalds as one of several jobs.